One of the most frequent requests for advice I receive is when CEOs and other leaders are job hunting, applying for roles or have been headhunted. They send me the job specification or headhunter’s mandate along with a draft CV and cover letter. I’ve received scores over the years. They usually make three common mistakes. First, they assert, rather than demonstrate competence. Second, they forget what a CV is for and try to “gear it”. Third, they almost always undersell themselves. This last mistake is a surprise since my clients are in the main, as Sir Humphrey might say, “not entirely displeased with themselves”. This is a front, and part of the reason they are successful. And indeed why I like working with them. But taking the third point first, I rarely experience senior leaders over selling in their CVs. That’s not to say that some don’t. It’s just that I don’t work with that type of leader. That said, it never ceases to surprise me the extent to which they will hide their light under a bushel in the first draft of their CV and how they manage to mangle a cover letter. I use the same editing approach every time. I don’t turn on “tracking changes” because there are usually too many. Not in content but in the presentation. I might add or delete the odd word or sentence, but my purpose is to reveal, not to change. My first step is to delete the dreaded summary paragraph at the beginning of most first draft CVs. Some headhunters recommend these; some don’t. I advise my clients that the risks of summary paragraphs outweigh, absolutely, the benefits. Unless you write like Tolstoy you won’t get it right. You will end up asserting competence – “strategic…visionary…dynamic…”. Don’t do it. Let the CV speak for itself. 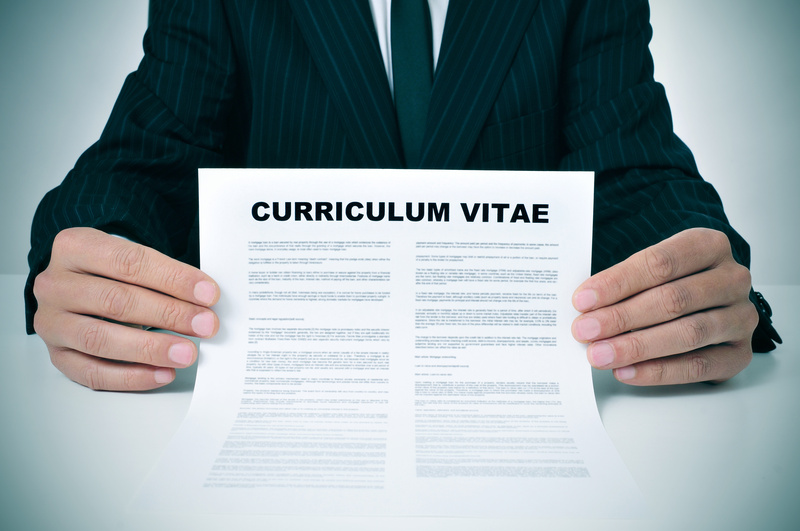 Remember that the Latin words curriculum vitae mean literally “the course of my life”. So just write that, in two pages. Dates – with months, and no gaps. Organisations and job titles with a short list of achievements, one per line. Start each achievement with a verb. Led… launched…developed. That’s it. But – and I have great sympathy with this – CEOs and other leaders feel vulnerable at these points of inflexion. Worse they are usually hard on themselves. A deadly combination when you are trying to sell yourself. And a CV is a selling document, but it is only an appendix to the cover letter. The cover letter is where the real selling or “gearing” is done. You can’t “gear” your CV. As we say in Ireland: “It is what it is”. But you can and should gear your cover letter. But most first drafts treat the cover letter with scant respect. That’s because most successful CEOs and leaders don’t often need to sell themselves. They’re out of practice. The cover should start with obvious: I wish to apply for X role as advertised in Y or advised by Z headhunter. Then it should reprise the top three things the role needs and how, in headline terms, you intend to meet those needs. Then, crucially, a few sentences carefully crafted to demonstrate your unique approach to the role. You are, after all, unique. So, why not highlight your unique selling proposition in your cover letter? This won’t be about your roles. These are not unique. It will be about how you do what you do, and who you are. That’s your USP. Use it. In doing so, you will help them choose you. Organisations always choose the least risky, not the best. People who don’t reveal themselves are a risk. Reveal yourself, in a manner which makes you the least risky, and win. Posted on September 8, 2016 by Ciaran Fenton. This entry was tagged CEO, Curriculum vitae, USP. Bookmark the permalink. Since when are you an expert in CV Writing ?